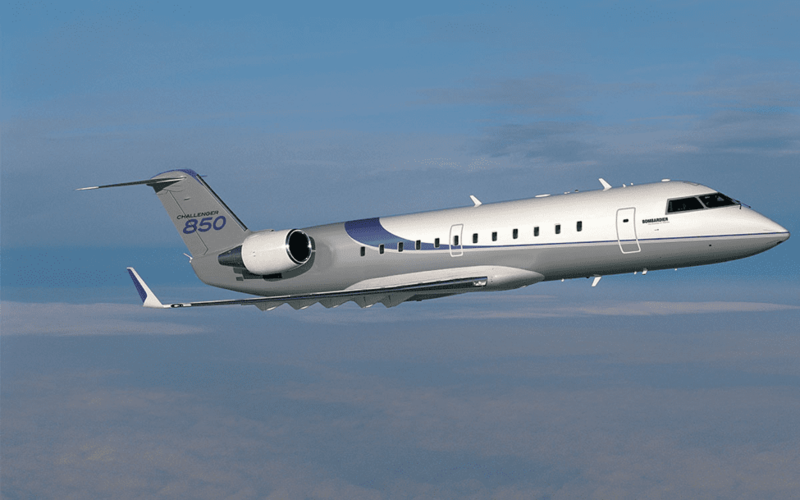 Originating from the CRJ200 Bombardier airliner, the Challenger 850 has been transformed into an executive style jet that is able to provide passengers with the same capabilities as a large aircraft but with the comfort and flexibility of a private jet. As a heavy jet from Bombardier Aerospace, the Challenger 850 is the ideal jet for accommodating large groups. 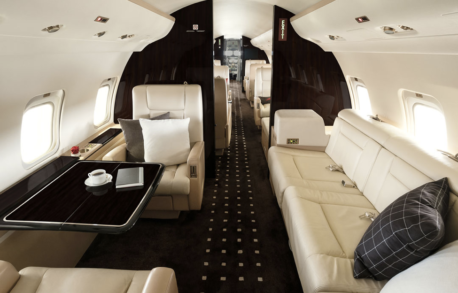 The Challenger 850’s roomy interior can seat about 16 passengers in the three zone cabin. With 1,625 total cubic feet of volume, the stand-up cabin is almost 50 feet long, over 8 feet wide, and 6.1 feet high. It comes equipped with both a forward and aft lavatory, 202 cubic feet of baggage capacity, and a large galley complete with an oven, refrigerator, and microwave. Powered by two GE turbofan engines each providing 8,729 pounds of thrust, the Challenger 850 can travel at .85 Mach and fly as high as 41,000 feet. It can reach an altitude of 37,000 feet in just 32 minutes. Able to travel 2,946nm, the executive jet has long range efficiency and performs similar to a smaller business jet. The all-glass cockpit showcases the Collins Pro Line 4 avionics package, with dual digital radios and a color weather radar. 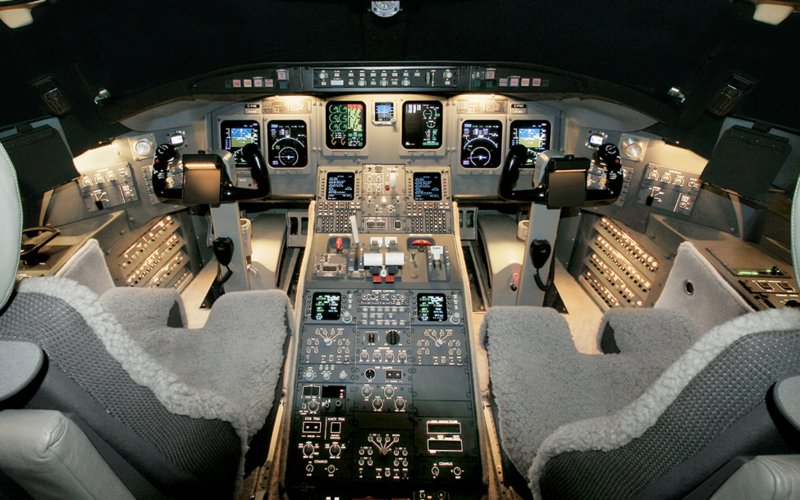 Computer controlled fly-by-wire increases productivity for pilots while six display screens provide pilots with organized information. The performance driven Challenger 850 combines reliability, comfort, and impressive range so that business never has to stop.